The Innocents. Photo credit: Anna Wloch. Courtesy © 2015 MANDARIN CINEMA AEROPLAN FILM MARS FILMS. Opens July 15 in Toronto (Varsity) and Vancouver (Fifth Avenue)! The film opens August 19 in Montreal and in other cities throughout the summer. Every time when I watch such films with an unpleasant subject matter such as “THE INNOCENTS”, I understand more and more the true definition of storytelling. The story told in Anne Fontaine’s film brings you a harsh reality of the war when not only bad guys, but good are doing terrible things as well. It is just a matter of whether you will ever find out about it or not. For that, there is no need for a film to be based on a true story, as long as that particular film has a right filmmaker with excellent screenplay who will make the story like it’s real. Set in Poland in the year 1945, a young French Red Cross doctor, Mathilde Beaulieu, portrayed by Lou de Laâge is sent to assist the survivors of the German camps, but instead finds several nuns in advanced states of pregnancy. As the young doctor continues helping the innocent and damaged souls, she finds the ugly truth about the latest visit of Soviet army soldiers that leaves all women pregnant. But the question is, what will happen if all of them deliver babies on the same day? And what about the outside world, who may reject helping the Church to overcome the unfortunate situation? As the story unfolds, you find Mathilde in a romantic relationship with her colleague, Doctor Samuel, who seems to be genuinely in love with her. Despite the male part of the film being shown with a negative side, the appearance of Samuel brings a bright light into darkness the film takes you in. Maria is also a nun who does everything in her power to help her Sisters, however, she faces the biggest challenge in the face of Mother Mere Abesse, who gives away every child born in the Church. Anne Fontaine’s “THE INNOCENTS” has gathered the half cast of the Oscar Winner IDA, that gives her film enough tension and reality possible to ensure you as a viewer to be transported into 1945 completely. What is good about this film is not to emphasize what the soviet army soldiers did, but to show the human part of the story, where one non-believer, as Mathilde finds herself in the Church, with her bold characteristic, generosity and kind-heartiness decides to help the nuns to deliver the unexpected babies. With that, she helps not only to save children’s life, but theirs as well. Also, by doing that, Mathilde helps herself as well to find her true self in a way to realize that there are many ways of self-sacrifice. But the path she chooses feels right all the time as the only one to be able to replace the light at the end of the tunnel by her own presence. 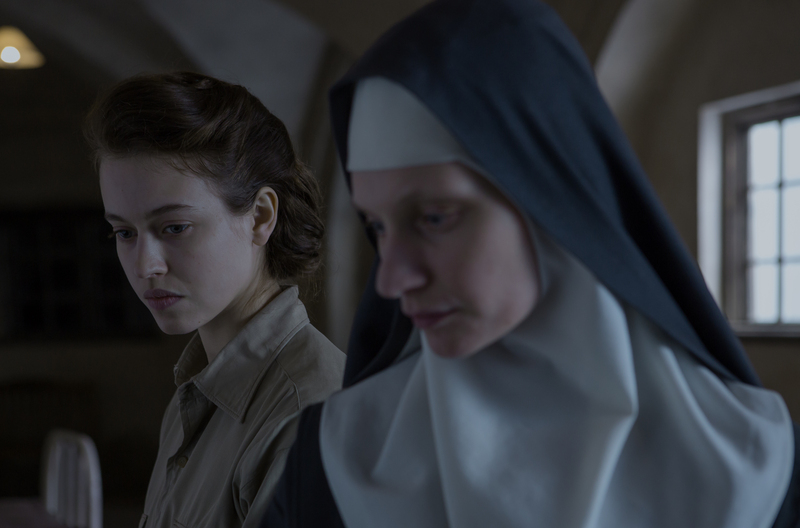 Fontaine also does the right thing by not turning her film into a tear-jerker, but rather, as a logical European view to express that they also were the victim of the war on many levels, and that, the innocent nuns were one of them. Great post thank you. I found The Innocents to be soulful essay on a difficult subject. The atrocities against nuns are portrayed as a complex metaphorical struggle between religious faith, medical science, and evil. Quite a haunting film really. Thank you for your comment. It’s indeed a soulful movie. Glad you enjoyed it.